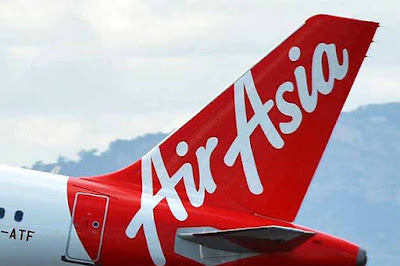 Bengaluru : Budget passenger carrier AirAsia India, has announce the launch of the loyalty program AirAsia BIG. AirAsia India is the first Low cost airline in India to introduce a loyalty program for its guests. Now accumulate BIG Points and redeem FREE flights and avail many other AirAsia add-ons such as baggage, meals, Hot Seats & more by signing up for BIG! To enhance the loyalty benefits, BIG has also united with more than 100 Partners worldwide. Guests can earn BIG Points when they fly with AirAsia or when they make purchases with the partners. Guest can sign up for AirAsia BIG for free and members can start earning BIG Points to fly for free. Mittu Chandilya, CEO & MD - AirAsia India, said, "Constantly listening to our guests is part of our DNA. Some of the best ideas and innovation have come from our guests and our employees. BIG as a loyalty program is something I feel very passionately about and for a LCC to have a Loyalty program is another way in how we are revolutionising Air travel in India. Look forward to some BIG points." Dato’ Bernard Francis, Chief Operation Officer from BIG said, “AirAsia customers have been the reason for our success these many years, and we at AirAsia BIG would like to show our appreciation for their much-valued support." "This is why AirAsia BIG Loyalty Programme offers the best travel experience to “BIG Shots”, our BIG members and frequent flyers of AirAsia, worldwide. Our ultimate goal is to reward our members. At AirAsia BIG, our mission is to enable everyone to fly for FREE by utilizing their BIG Points,” he added.